Our staff is always ready to help you with your insurance needs, whether it’s choosing the right type of coverage or answering questions about your existing policies. 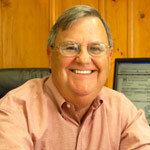 Roy is a native of North Alabama where he attended and graduated from the University of Alabama in 1969. After marrying Frann Hannon, he and Frann moved to Port St. Joe in 1974 where he was employed by his father-in-law, Frank Hannon with Hannon Insurance Agency. Roy is currently the owner of the agency and is active in many civic and community activities. 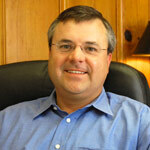 Andy came to work with Hannon Insurance in 2000 as a third generation agent. After graduating from Port St. Joe High School in 1994, he went to Florida State University where he earned his Bachelor of Science degree in Economics. His duties entail Personal Lines Production including Homeowners, Flood, Windstorm, and Commercial Lines Production. Along with belonging to many civic and community organizations, he also enjoys hunting, fishing, golfing or just about anything outdoors the area has to offer. Andy is currently the owner of the agency. 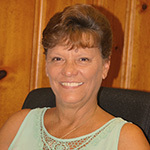 Laura is a native of Port St. Joe and has been employed by Hannon Insurance since 1981. Laura’s expertise lies in the area of Personal Lines Production, specializing in Personal Auto, Homeowners, Flood and Windstorm Insurance. She is also active in her church and numerous community activities. Karen graduated from Port St. Joe High School and attended Gulf Coast Community College where she earned her Customer Service Representative Insurance License. She has been employed at Hannon Insurance since 1999. 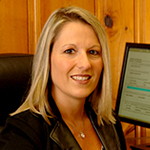 Karen specializes in Personal and Commercial Auto, Boat, Motorcycle, and Recreational Vehicle Insurance. Available to answer any questions, she offers a prompt and friendly service. Sandra is a native of Port St Joe and has over 16 years of insurance industry experience prior to starting at Hannon Insurance in May 2016. 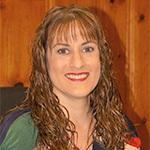 Sandra specializes in mobile homes, homeowners, commercial and general liability. She is available to assist you with your insurance needs. 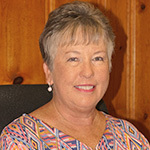 Connie recently relocated to Wewahitchka from Chipley, Fl and started with Hannon Insurance in May 2017. With over 25 years of customer service, she will be happy to assist you with your insurance needs.